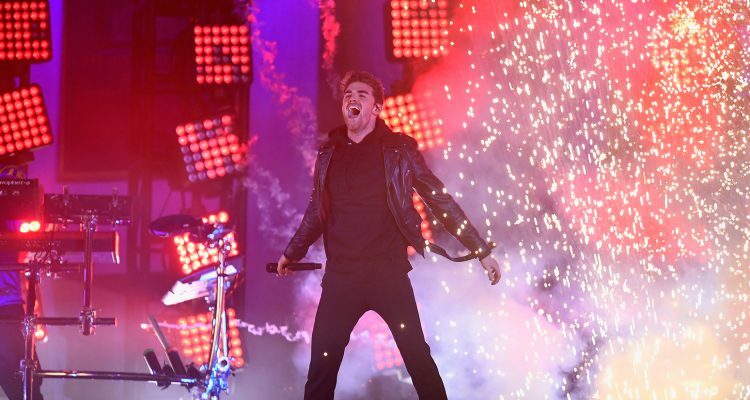 The Chainsmokers and American Country singer Kelsea Ballerini teamed up for an explosive performance of their joint single, “This Feeling”, during last night’s Monday Night Football halftime show. Chainsmoker Alex Pall manned his synths, singer Drew Taggart rocked an acoustic guitar as Ballerini ran the show with her sultry Southern vocals but Taggart stole the spotlight with his vocal wailing and synchronized fireworks. It’s been rumored that the highest combined scoring game in MNF history was inspired by that night’s EDM-meets-Nashville performance. Watch the halftime show featuring the Columbia Records-released “This Feeling” below.